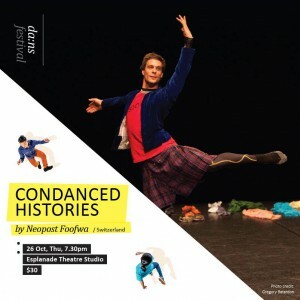 Experience the history of 20th century Western dance in this condensed and humorous one-man performance lecture by Swiss dance artist Foofwa d’Imobilité. 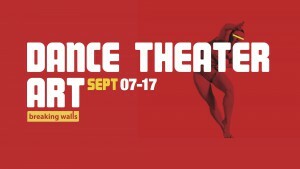 Within two hours, this self-described “respectful desecration” will cycle through the iconic styles of legends ranging from Rudolf Laban, Martha Graham, Merce Cunningham, Pina Bausch and more. Troisième et dernière étape de cette tournée russe: Moscou! Deuxième étape de cette tournée russe: St-Petersburg! Première étape de cette tournée russe: Kostroma. The wonderful world of 20th century dance is packed with illustrious names, such as Loïe Fuller, Rudolf Laban, Mary Wigman, Michel Fokine, Mister B., Martha Graham, Merce Cunningham, Yvonne Rainer, Trisha Brown, Pina Bausch. If this is too much information for you to digest, don’t panic! Help is at hand. This new version, created with the light artist Jonathan O’Hear, subtitled A one-man performance-lecture on a selected history of dance, demonstrates how certain choreographic trends have helped to shape contemporary art. 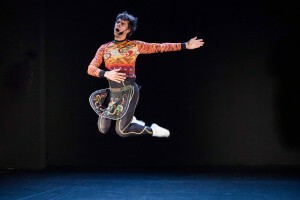 Bursting with anecdotes, which serve as a timely reminder that dance is as old as humanity itself, Foofwa d’Imobilité rumbustiously decodes the myriad forms of dance that have been created over the last 125 years and that are still being used today. He quite literally walks the talk by singing the music himself, describing the costumes and stage design and proving that the history of dance is alive and kicking.